Designed by the world-renowned Chinese martial arts master Sifu Adam Hsu , these Chinese straight swords (Jian) are becoming the weapon of choice in the Tai Chi community. 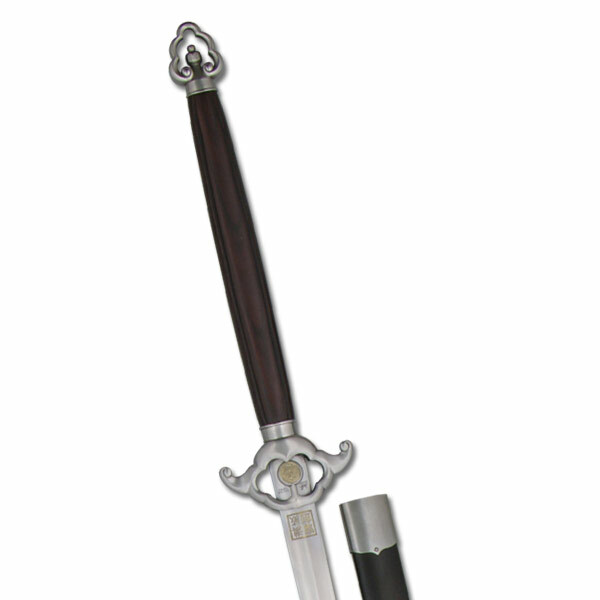 Hanwei's quality and workmanship give the swords a graceful and pleasing appearance. This Hsu 2-Handed Jian features a 36" blade and a fiberglass grip and scabbard. Weighing slightly less than 2 lbs. this long sword handles beautifully.